Drive through the ornamental stone gate and you imedialtely see the potential. 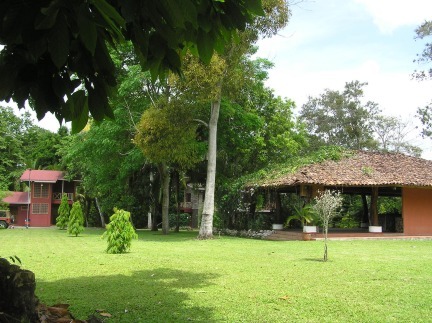 The grounds are flat and well manicured, to your right is the main guest house. Flowers and palm trees are everywhere. To your left is the large palappa covered bohio. This was the family's eating area. It would be an easy conversion into a garden restaurant. Is has enough room for 40 seats and all ready has a kitchen and storage area. The Bohio looks out upon 5 acres of well manicured garden. Imagine a large swimming pool with smaller cabanas surrounding it and you have the makings of a 5 star hotel. The main house features 2 bedrooms, a kitchen, living room and views directly down to the year-round river. Steps away is the guest house. This also features a kitchen and dining area and has one bedroom with ground floor bathroom. 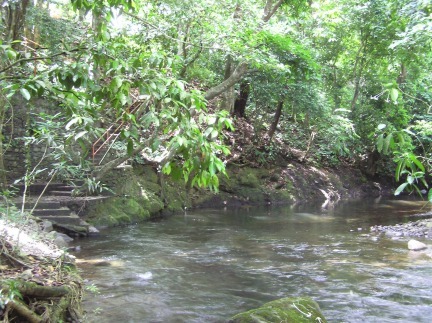 One of the main features of this property is that it fronts a wide flowing river. There are concrete steps leading down from both the main and guest houses. A small botique bar or restaurant would be a very romantic and idyllic addition here. 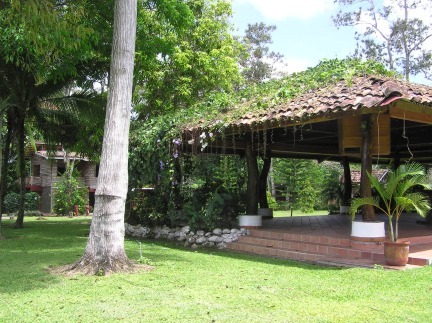 For those that want a secluded and peaceful get-away, this is a perfect location. 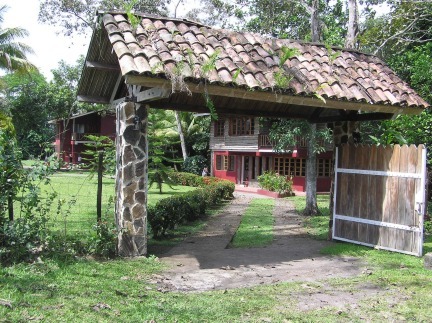 The property is 2.2 hectares or 5.20 acres in size.The town of Concepcion does NOT have any hotels at the moment. 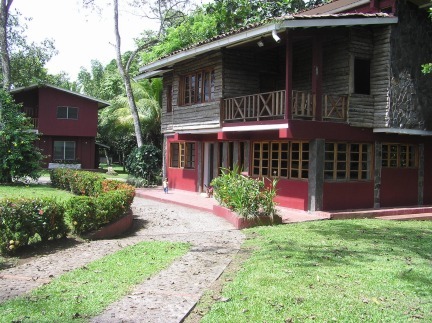 The concept of "Boutique" hotels is new to Panama, but well accepted and popular in neighbouring Costa Rica. The asking price is: $350,000 US. (507) 771-4025 - Cel (507) 6677-9371.